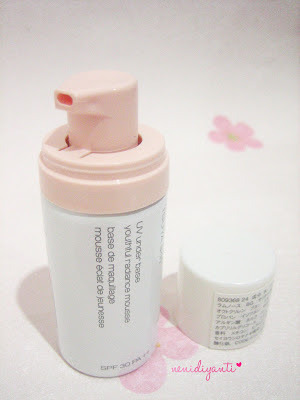 In the end of May, I got invited to Shu Uemura OB Princess Party at Mall Kelapa Gading and I got several items as goody bag xD One of the items is Shu Uemura TSUYA Skin UV Under Base. Innovative mousse-to cream formula creates luminescent veil, smoothening pores & fine lines while replenishing moisture for instant glowing complexion. Hint of rosiness from its carefully selected peach shade completes ideal radiant canvas for beautiful makeup creation. 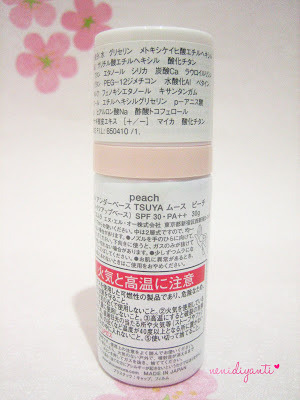 contains powerful skin care active rhamnose, known to reactivate skin’s self-regeneration. As if having a mask on all day, skin loving formula gently envelops skin. Simply with everyday make-up, skin looks supple & smooth, restoring visible youthful glow. I look at the packaging carefully and read all information which written on it. It comes with SPF 30 and PA ++ which is good for UV protection. 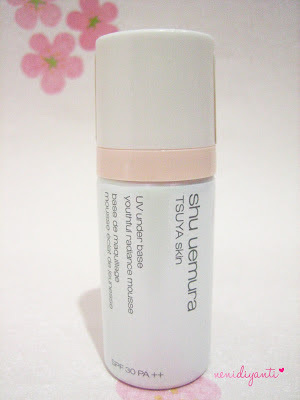 Since its name is UV under base, it should have protection for UV, right? It comes in a can bottle with pump. Its size is quite small (for the first time I thought it's just a mini size, but after googling it, found out that this is the real size OMO) Overall, I like the packaging. Simple and light weight. The minus point is the description is only given in Japan language. 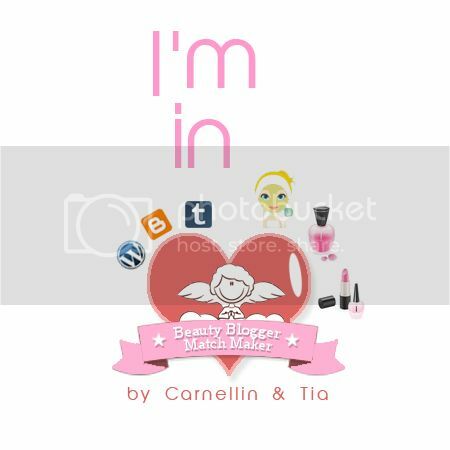 It blends very well on my skin and match with my skin tone. 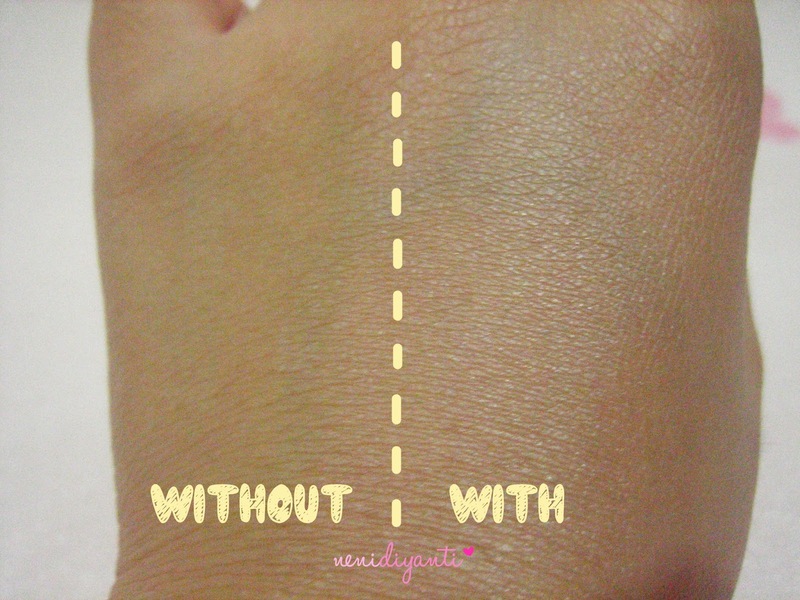 Giving dewy look without looking white cast. It smells like cookies or cakes. Seriously, it smells sweet! 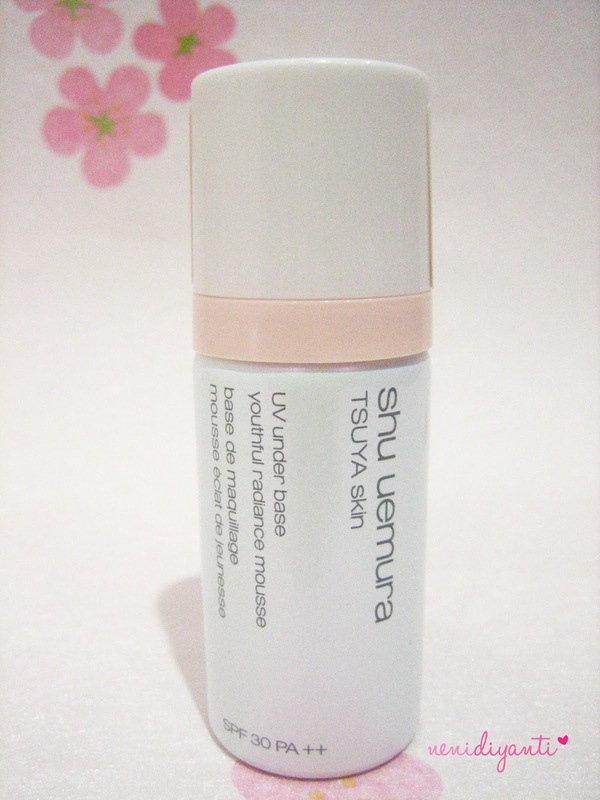 You can see the difference between my bare skin and using TSUYA Skin UV Under Base. It makes my skin looks dewy and ready for another step of makeup. It also protects my skin from UV. I know it looks super dry, but to be honest I have genetic skin problem. My skin will always look dry and cracked when I got stressed. It also get itchy and redness. It called eczema or atopic dermatitis. I've consulted a good dermatologist in my country and she said stress is the provoking factor (stress make it worsen) and it's genetic disease. I will live with this skin problem forever and have to stock the prescribed ointment.